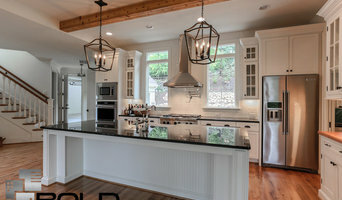 Carolina Cabinet Specialist's Patrick Goembel is a seasoned Kitchen Designer and Remodeling Contractor in Cary, NC, and our goal is to design, build, and install cabinets that exceed your expectations. We specialize in Custom, Semi-Custom , and Stock Cabinetry. Family friendly craftspeople that you can feel safe working on your home, quality cabinetry, and exceptional customer service is what you will find with us. Kitchens & Master Bathrooms are our specialty, but we also design and install cabinets for your whole home: secondary bathrooms, powder baths, family room built-ins, offices, home theaters, wine bars, laundry rooms, outdoor kitchens, and more. Full service design & installation of kitchens and bathrooms. We are a Kitchen and Bath firm that specializes in design of any space. We are a turnkey company who wants to help you with all your needs including cabinetry, countertops, appliances, tile, hardware, lighting fixtures, plumbing fixtures and more. 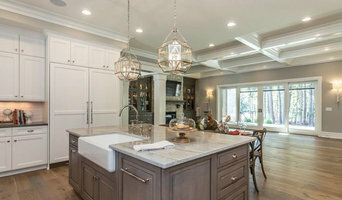 When it’s time to upgrade or renovate your kitchen, remodel your bathroom, install cabinets or countertops, or turn your home into the place you love to come home to, it’s important to work with an experienced home improvement & renovation company that will turn your vision into reality ... on time and within your budget. Triangle Cabinets & Renovations brings our design and project management skills to every job we do. We work closely with our customers and team up with the best product manufacturers and the top home improvement professionals in the Raleigh - Durham - Chapel Hill area, to create the masterpiece our customers are looking for. For cabinet installations, kitchen renovations, bathroom remodeling, home improvements and more, choose the company that will listen to you. 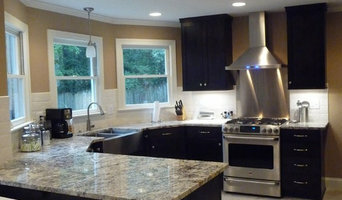 Triangle Cabinets & Renovations has done work in Raleigh that has been featured in Scout magazine. We also have 5 blue ribbons in the Parade of Homes in Raleigh for "Best Kitchen". Whether you need some rennovations in Raleigh or are building a dream home in Apex, Chapel Hill, Durham, or Cary - we are here for all your needs and to provide you award-winning service. From providing flawless cabinets, kitchen design, kitchen tearout, countertop installation, to cabinet installation - we do it all seamlessly while putting minimal stress on the customer. Senior Designer at Kitchen & Bath Galleries of Chapel Hill. Kitchen & Bath Galleries provides the design, sales, and installation for cabinetry, countertops, and kitchen appliances. 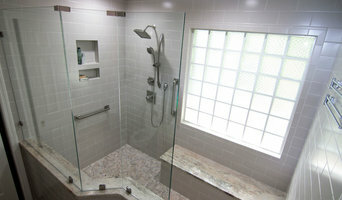 Tile With Style is a family owned and operated business with over 25 years of experience. We offer free estimates and in-store design consultations in a comfortable, no-pressure atmosphere. PHILLIPJEFFERSONDESIGN is committed to providing innovative design and project management services for residential and commercial projects involving: new design, renovations, additions and interiors. We also offer a variety of urban design and planning consulting services. Our design services embody the true nature of simplicity, tradition and sustainable living; working within the confines of form, space and materials. Our goal is to create comfortable aesthetically inspired modern spaces specific to their period, surroundings and structure. We are dedicated to facilitating an open collaborative environment with our clients’, turning your visions into tangible reality. To us, design is an artistic collaboration of minds and ideas that take a physical and tangible form. These forms should express the true identity of nature and technology from the inside-out. At PHILLIPJEFFERSONDESIGN your desires and vision are our top priority. We are committed to providing our clients the highest level of design services befitting their needs while executing a vision that responds to its surroundings in a simple, clean and environmentally responsible manner. KAB Design specializing in Kitchen and Bath Design using 3D Technology to show you your actual reality in virtual reality before you purchase materials or start demolition.